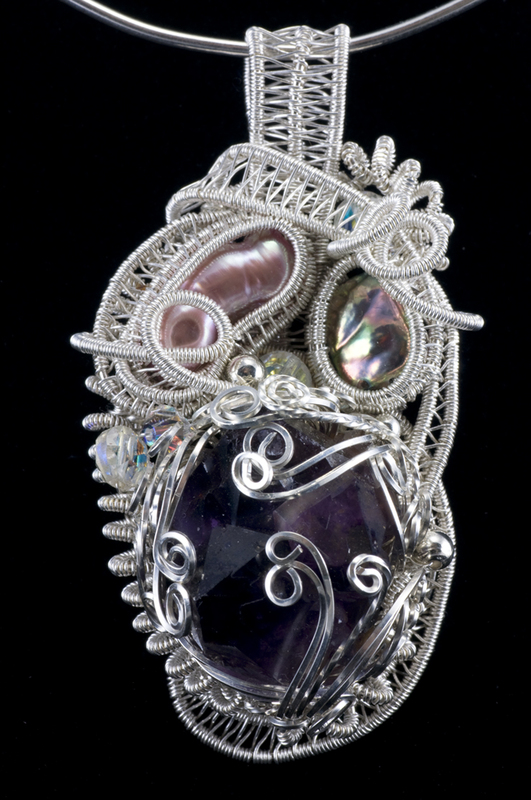 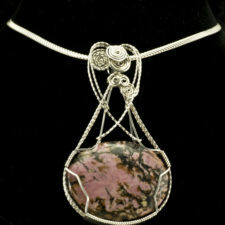 This is an elaborate woven amethyst pendant: I coiled silver wire, then wove and wrapped more silver to make a setting for the amethyst crystal cluster that’s the focal point. 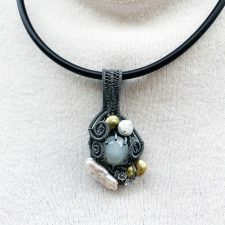 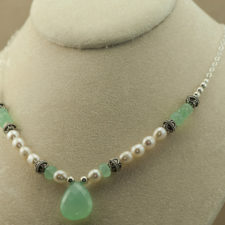 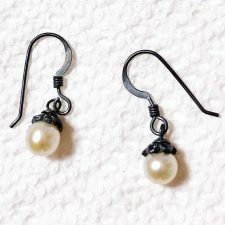 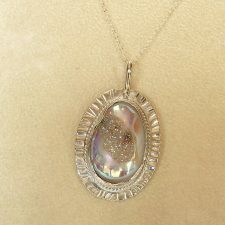 I accented the design with a baroque rice pearl and some abalone shell. 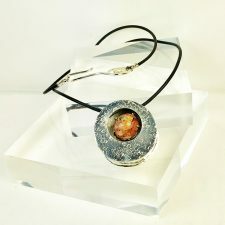 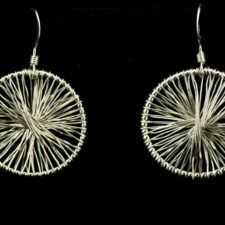 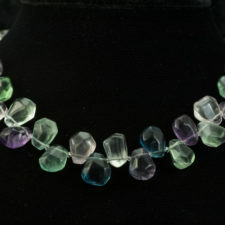 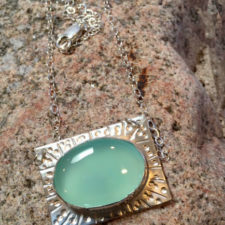 The pendant is 2.5 inches high x 1.25 inches wide.